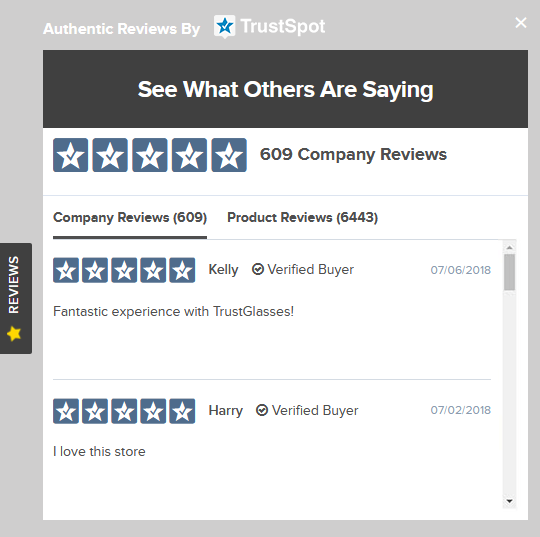 Display your happy customer reviews in a beautiful display. Display all of your user generated content in one area including Reviews, Photos and Q&A. Our on-site display elements are mobile responsive so they look great on any device. Customize your on-site display element with your own colors to help match your site branding. 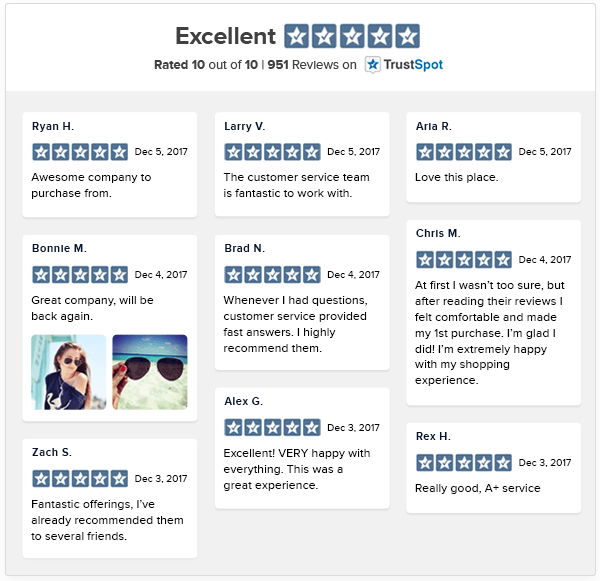 Display all of your company reviews in a dedicated page on your site. The Popup Tab is a floating tab that you can display on any page of your site. Customize the coloring of text to match your site. Allow users to scroll through your best reviews. You can even customize the colors to fully match the branding of your site. Display your customer photos throughout your site on a great looking photo carousel.